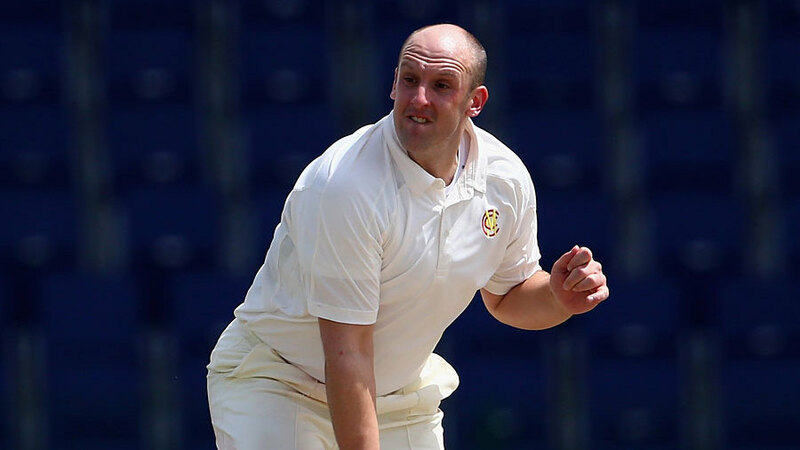 James Tredwell and Calum Haggett took four wickets each, the latter a career-best 4 for 15, as Derbyshire lost seven for 45 in 93 balls to be skittled for 94 leaving Kent with a target of 175. Daniel Bell-Drummond made a composed unbeaten 80 from 99 balls before Alex Blake sealed Kent's second win of the season in style with three consecutive sixes off leg-spinner Matt Critchley. Billy Godleman had recovered from the blow on his left forearm which forced him to retire hurt the previous evening but made only three before he was lbw pushing at Tredwell who ended Derbyshire's hopes of setting a more demanding target when he bowled Shiv Thakor for 10. It was an impressive performance and Haggett thought the seeds of victory were sown on the third evening. "To get three wickets last night was a big factor, it put us in a good place and we managed to keep things going. "We bowled pretty well as a group and we got the rewards and I thought we bowled a bit straighter than in the first inninngs. "It started to keep a bit low and the odd one popped and thankfully it was my day. Treddy was getting some spin as well and we hit our areas better. "It's a good confidence-booster and we are in a good place at the moment but we know we need to keep putting in the work." Madsen said: "James Tredwell mixed his pace up well and bowled well into the rough and when Haggett came on he bowled at the stumps and was getting it to jag back and made it difficult. "Possibly we were caught on the back foot and maybe have to get out of our crease a bit more but to be fair he bowled really well and unfortunately we weren't up to it. "We thought 200 was going to be a good score and we would be able to bowl them out but they came out and played positively. We weren't helped that we had to change the ball a few times with the wet outfield but it was disappointing not to get enough in the right areas to trouble them. "I think we have to be better than that, especially on a wicket which has deteriorated, but I do think for us a team there are positives to take from this. Shiv [Thakor] with his hundred and five-for, he's really played well for us this year. "I look back at the way we bowled for the first 100 overs, our disciplines and plans were spot on , but the game got away from us at the crucial times on day three and going into day four."